Thanks for stopping by the website of Martha Freeman, author of books for kids of all ages. Click on the Books icon above to learn about all her books, including The Orphan and the Mouse, the First Kids and Chickadee Court mysteries, Strudel's Forever Home, and Effie Starr Zook Has One More Question. To buy any book, click on the image. 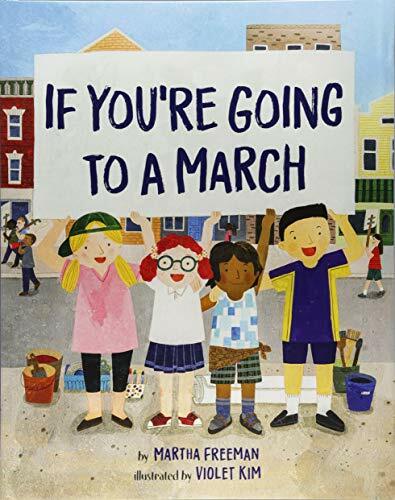 An uplifting, picture book guide for young people going to a march or wondering what marches are all about. Inspired by my own experiences, this picture book answers practical questions: What should I wear? How will I get there? Where will I be able to go to the bathroom? Is it okay to dance? All the while the text stays focused on the fact that the right to assemble is our right as Americans, whatever our point of view. Martha is honored to announce that a new podcast, BlackApple, has posted a read-aloud of “If You’re Going to a March.” Have a listen by clicking here! 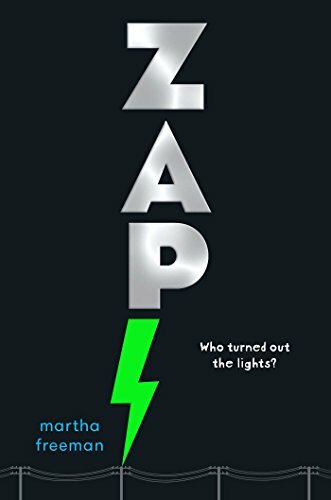 Click on the link here to learn more about the making of ZAP — an electrifying mystery in which two can-do sleuths embark on a high-tech urban adventure to answer an age-old question: Who turned out the lights? How do you make a book, anyway? With a little help from her friends, Martha made a two-minute slide show to answer the age-old question. Click on the link here to see it and to learn more about Effie Starr Zook Has One More Question.